It was just coincidence that I came across Angela Cashmore, the Secretary of the Friends of Harewood Court, a week after my tour of Toad Hall, just three doors away on Wilbury Road. 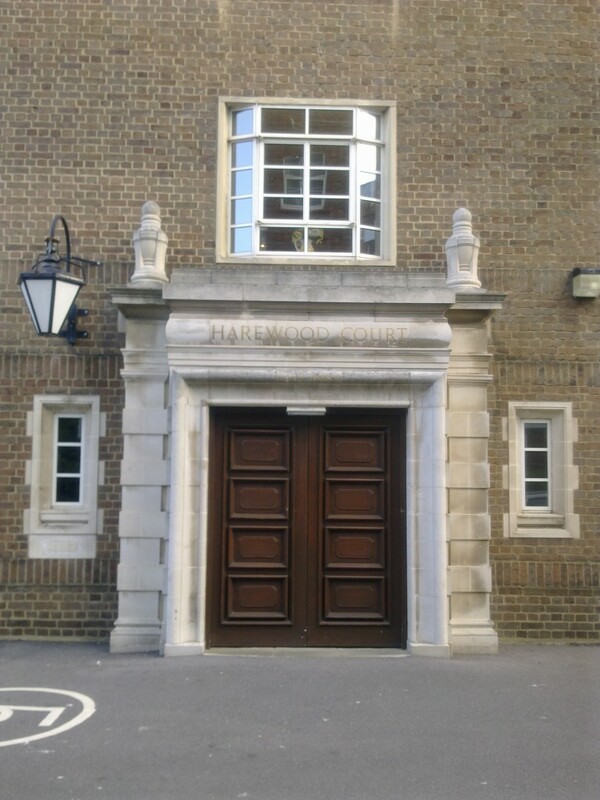 It was a real stroke of luck though as Harewood Court is far from your average purpose-built block. Harewood Court was built as a home for the widows of Freemasons though the rules have been relaxed in stages over the years and those with a Masonic connection are now in a minority. The Royal Masonic Benevolent Institution is still Freeholder though. It was designed by JC Denman & Son, the firm that was also responsible for the Sussex Masonic Centre on Queen’s Road and also the Freemsason’s Tavern on Western Road. Construction began in the 1930s but it wasn’t finished until after the Second World War. The main entrance to the building is at the centre of the north block which leads through to a hugely impressive function room with adjoining library. Events range from violin performances to rock’n’roll concerts. Most of the flats are within the west and east blocks though several exist in the south block. In total there are 7 two bedroom flats, 110 one bedroom flats and 7 studios. Originally, the flats were all let but a majority has now been sold off following an extensive works programme. Many facilities have been lost over the years including three live-in matrons, a doctor’s surgery and a huge model train set in the basement. One particular resident more than satisfies the building’s over 55s only age policy – Mrs Ruby Golightly is 95 and has lived there for 27 years! Mrs Golightly’s Masonic connection is her late husband who was a member of Rhodes Centenary Lodge. In common with many other flats, her first floor courtyard flat’s kitchen has been enlarged by removing the wall which separated it from the sun room. 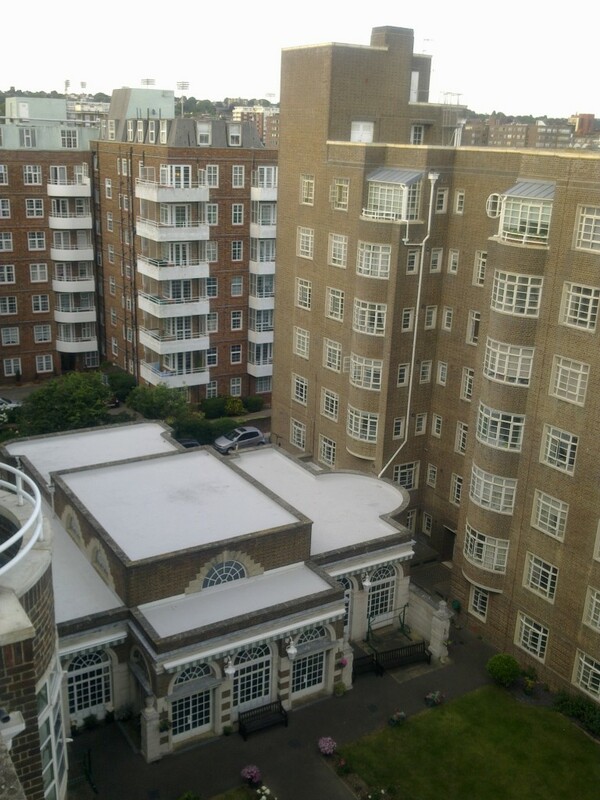 The views from the upper floors are really quite stunning such as those from the windows of Mrs Eira Bilham’s immaculate 5th floor flat on the front of the building. The huge flat roofs of the west and east blocks are accessed from their respective 7th floor lobbies and the vista provided rally is a joy to behold. Local landmarks are easily spotted and Angela and I found ourselves trying to name the many different churches which rise above the rooftops in every direction.